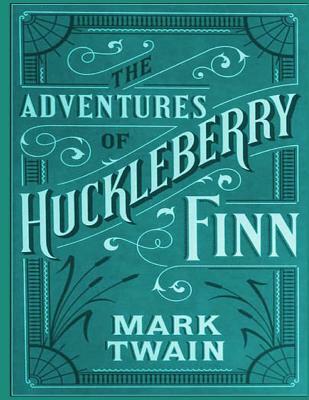 Adventures of Huckleberry Finn is a novel by Mark Twain, first published in the United Kingdom in December 1884 and in the United States in February 1885. Commonly named among the Great American Novels, the work is among the first in major American literature to be written throughout in vernacular English, characterized by local color regionalism. It is told in the first person by Huckleberry "Huck" Finn, a friend of Tom Sawyer and narrator of two other Twain novels (Tom Sawyer Abroad and Tom Sawyer, Detective). It is a direct sequel to The Adventures of Tom Sawyer. The book is noted for its colorful description of people and places along the Mississippi River. Set in a Southern antebellum society that had ceased to exist about twenty years before the work was published, Adventures of Huckleberry Finn is an often scathing satire on entrenched attitudes, particularly racism. Samuel Langhorne Clemens (November 30, 1835 - April 21, 1910), better known by his pen name Mark Twain, was an American author and humorist. He wrote The Adventures of Tom Sawyer (1876) and its sequel, Adventures of Huckleberry Finn (1885), the latter often called "the Great American Novel." Twain grew up in Hannibal, Missouri, which provided the setting for Huckleberry Finn and Tom Sawyer. After an apprenticeship with a printer, he worked as a typesetter and contributed articles to the newspaper of his older brother Orion Clemens. He later became a riverboat pilot on the Mississippi River before heading west to join Orion in Nevada. He referred humorously to his singular lack of success at mining, turning to journalism for the Virginia City Territorial Enterprise. In 1865, his humorous story, "The Celebrated Jumping Frog of Calaveras County," was published, based on a story he heard at Angels Hotel in Angels Camp California where he had spent some time as a miner. The short story brought international attention, and was even translated into classic Greek. His wit and satire, in prose and in speech, earned praise from critics and peers, and he was a friend to presidents, artists, industrialists, and European royalty. Though Twain earned a great deal of money from his writings and lectures, he invested in ventures that lost a great deal of money, notably the Paige Compositor, which failed because of its complexity and imprecision. In the wake of these financial setbacks, he filed for protection from his creditors via bankruptcy, and with the help of Henry Huttleston Rogers eventually overcame his financial troubles. Twain chose to pay all his pre-bankruptcy creditors in full, though he had no legal responsibility to do so. Twain was born shortly after a visit by Halley's Comet, and he predicted that he would "go out with it," too. He died the day following the comet's subsequent return. He was lauded as the "greatest American humorist of his age," and William Faulkner called Twain "the father of American literature."